I have been spending some time on the Configuration Manager forums on Technet lately, and questions about Software Updates (among others) frequently pops up. So I thought of creating a series of blog post explaining some of the basics of Configuration Manager or explaining some of the topics I often see being repeated as questions on the forums. 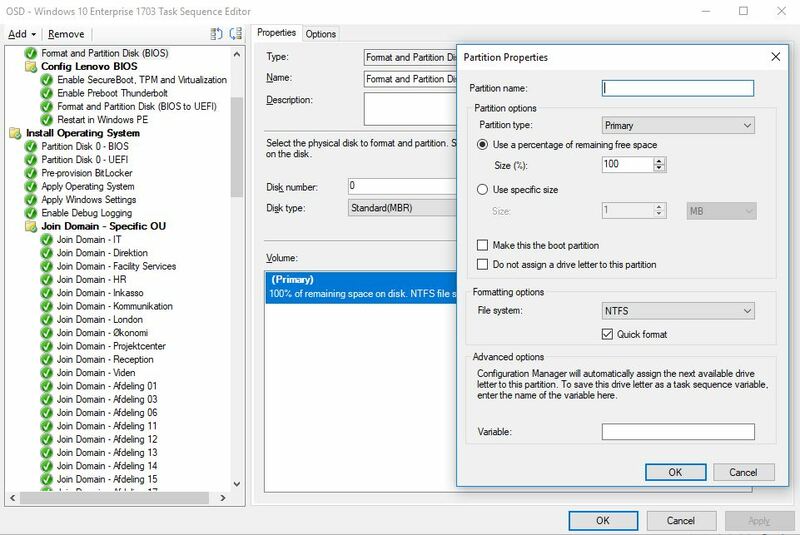 This will be the very first in such series, where I will give an example on how you can use SCCM to fully automate the patching of Windows 10. All of these examples will be based on the latest version of Configuration Manager Current Branch. More Windows 10 1803! Password reset directly from the login screen of Windows 10 has been possible since Windows 10 1709, but only in a cloud-only scenario. This changed with 1803, and users having a hybrid Azure AD environment, are now able to offer this service to their users as well. (assuming they roll on the latest and greatest Windows 10 version). This guide explains what’s required in a Hybrid environment and how to leverage Configuration Manager to apply the proper configuration on the client. The files available for download includes following. 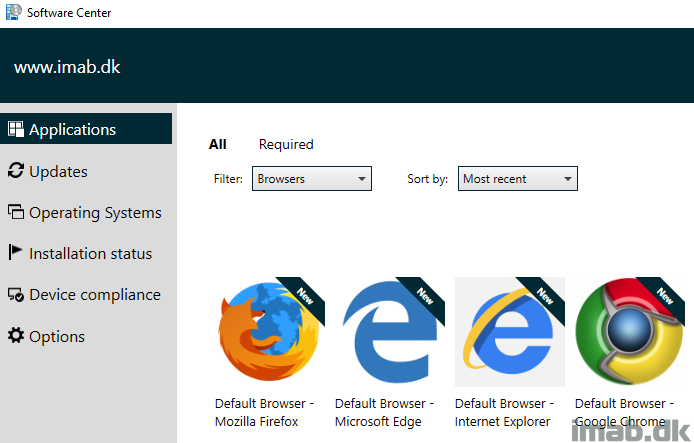 Select the one appropriate for your running OS. Update July 26, 2018: I have made an update to below content. Please find the new post on the link below. Note that the content in this post is still relevant. 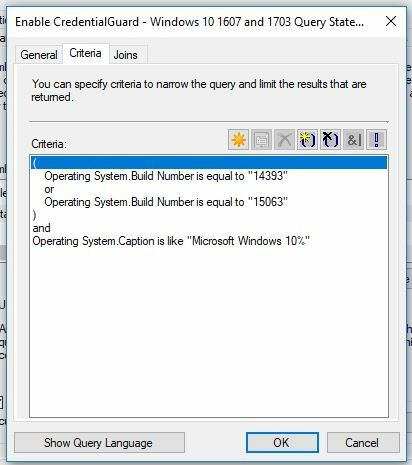 Windows 10 1803 is out (old news I know). Nevertheless, its always a good idea to be ahead and start thinking and planning the upgrade of your environment. Configuration Manager offers a lot of flexibility in terms of servicing plans and the use of task sequences. The Windows Defender Browser Protection extension helps protect you against online threats, such as links in phishing emails and websites designed to trick you into downloading and installing malicious software that can harm your computer. With that in mind, why not make that a permanent part of securing your environment and do so by forcing an automatic installation and thus render the users unable to disable or remove the extension. Read on, this is how you can do that using Configuration Manager. Next step, run my Powershell script directly from a package like shown below. 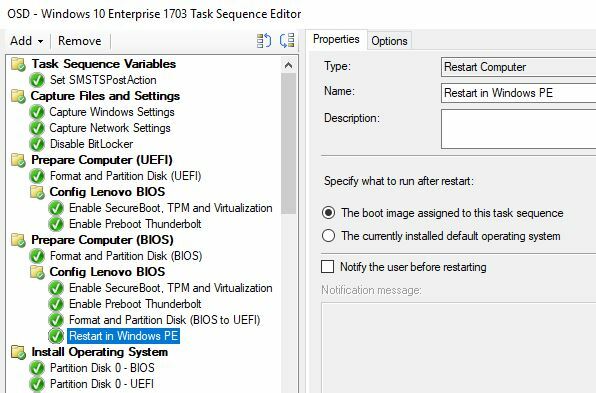 The parameter -EnableSecureBoot will also enforce UEFI to be enabled. Next step, one final reboot to the boot image currently assigned to this task sequence. 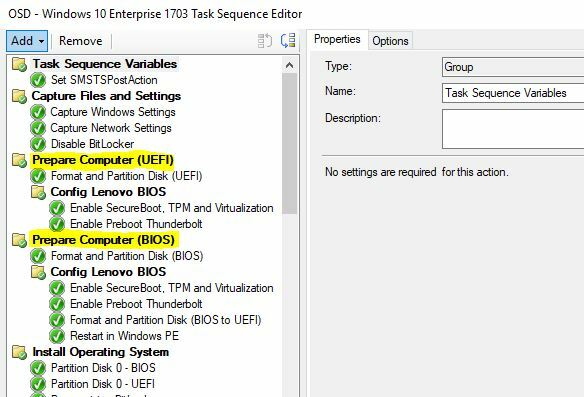 When the task sequence returns from the reboot, the Lenovo BIOS will be set to SecureBoot AND UEFI and Windows will continue installing. 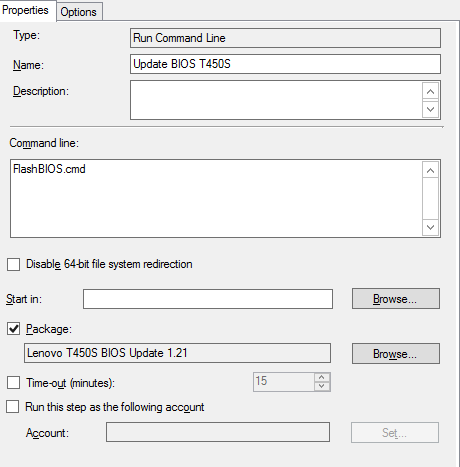 Ultimately, you can have 2 steps to take care of when the computer is coming with either BIOS setting or UEFI, and act accordingly. Se below snippet for inspiration. Windows 10 Credential Guard is currently another hot topic considering cyber security. Credential Guard is a new feature in Windows 10 (Enterprise and Education edition) that helps to protect your credentials on a machine from threats such as pass the hash. 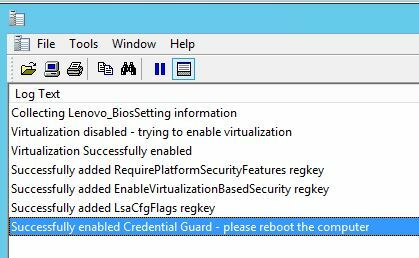 To be able to enable Credential Guard in Windows, you need to have virtualization enabled on the CPU in the BIOS. 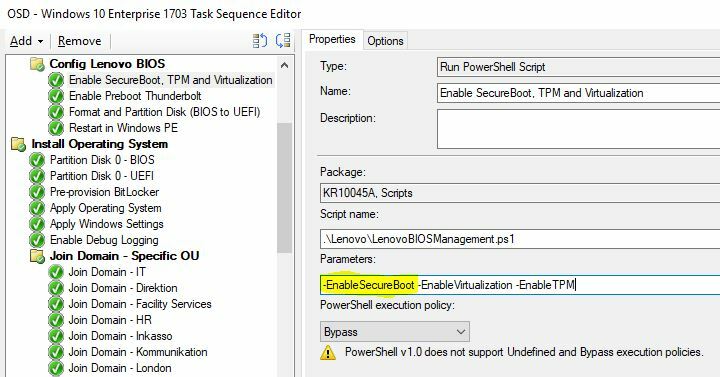 Virtualization is rarely enabled by default, and as such you will need to enable it manually (F1, enter BIOS, modify the setting) or better yet, find a solution to do so remotely and automatically. This script will only run on Lenovo computers. 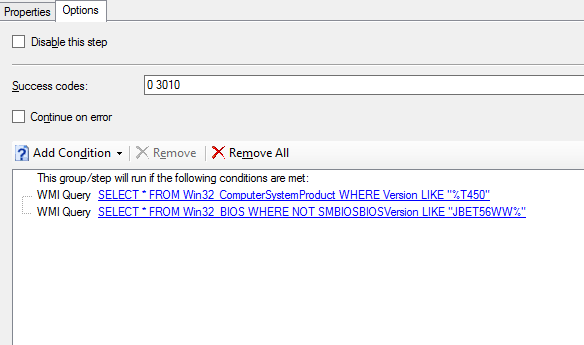 If run on Lenovo computer, the script will check if virtualization is enabled in BIOS. If not, virtualization will be enabled in the process of enabling CredentialGuard. LogWrite "Not a Lenovo laptop - exiting script"
Write-Host -ForegroundColor Yellow "Collecting Lenovo_BiosSetting information" ; LogWrite "Collecting Lenovo_BiosSetting information"
Write-Host -ForegroundColor Cyan "Virtualization disabled - trying to enable virtualization" ; LogWrite "Virtualization disabled - trying to enable virtualization"
Write-Host -ForegroundColor Cyan "Virtualization Successfully enabled" ; LogWrite "Virtualization Successfully enabled"
Write-Host -ForegroundColor Yellow "Creating HKEY_LOCAL_MACHINE\SYSTEM\CurrentControlSet\Control\DeviceGuard registry key" ; LogWrite "Creating HKEY_LOCAL_MACHINE\SYSTEM\CurrentControlSet\Control\DeviceGuard registry key"
Write-Host -ForegroundColor Yellow "Successfully added RequirePlatformSecurityFeatures regkey" ; LogWrite "Successfully added RequirePlatformSecurityFeatures regkey"
Write-Host -ForegroundColor Yellow "Successfully added EnableVirtualizationBasedSecurity regkey" ; LogWrite "Successfully added EnableVirtualizationBasedSecurity regkey"
Write-Host -ForegroundColor Yellow "Successfully added LsaCfgFlags regkey" ; LogWrite "Successfully added LsaCfgFlags regkey"
Write-Host -ForegroundColor Yellow "Successfully enabled Credential Guard - please reboot the computer" ; LogWrite "Successfully enabled Credential Guard - please reboot the computer"
In this blog post I will go into details about how I flash the BIOS of our Lenovo ThinkPad series during OSD using ConfigMgr. 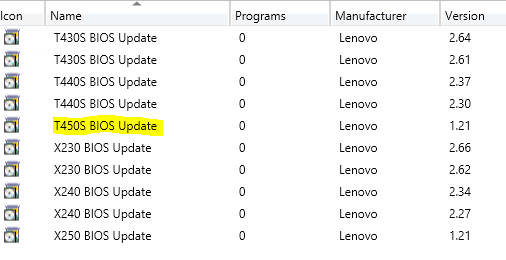 First off you obviously need to download the latest BIOS from the Lenovo support site: http://support.lenovo.com/dk/en/. In this example I’m flashing the BIOS of a ThinkPad T450s. 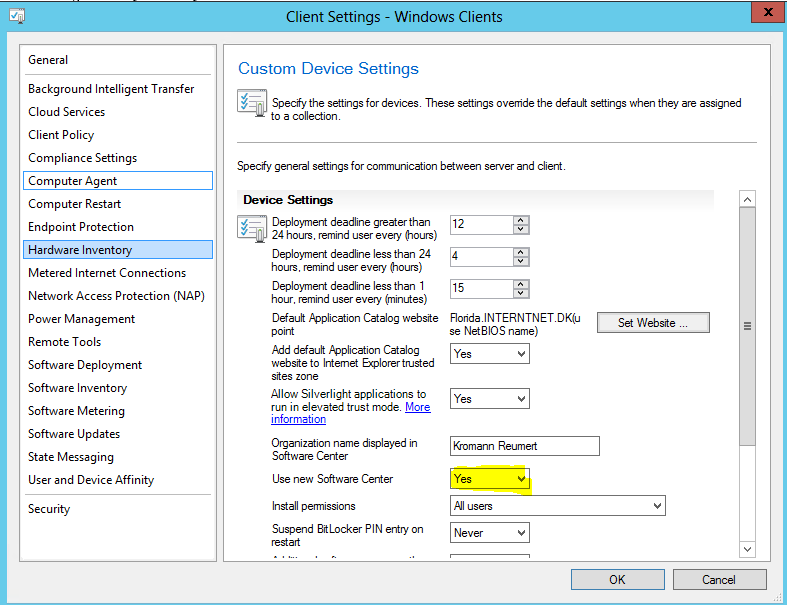 With this in place, go ahead and create a package in ConfigMgr with above content and distribute the package to your distribution points (I’m not going into details on this one, as this is pretty standard). 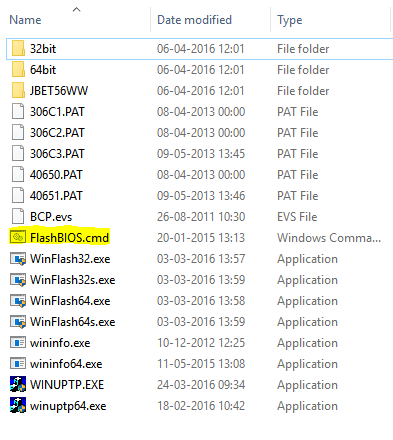 None of the new Windows 10 1511 software updates was synced into SCCM. I checked WSUS manually, and the classification Upgrades was not selected regardless of the Upgrades being indeed selected in SCCM. 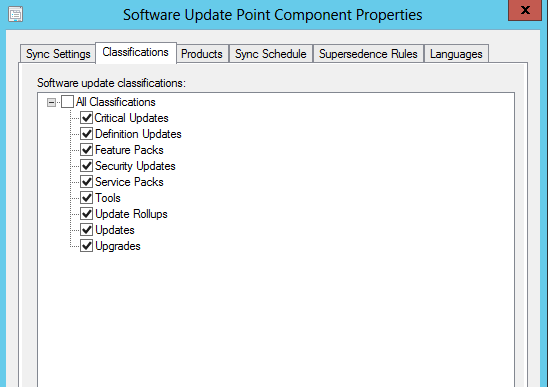 To solve this, I had to de-select all classifications in SCCM and select them again on the Software Update point. 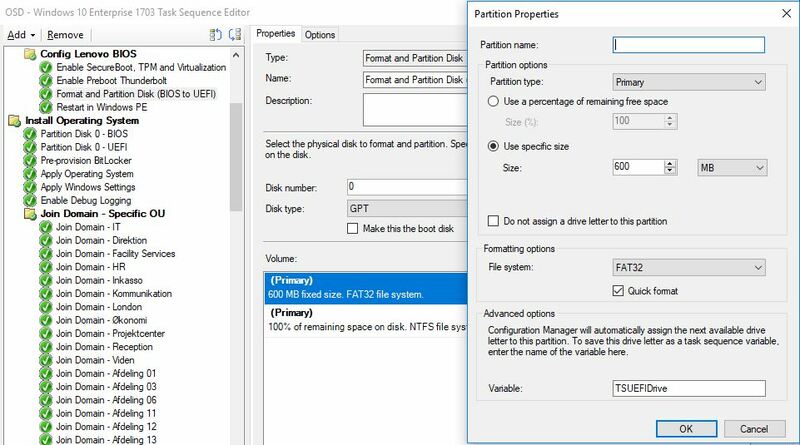 When I checked the chosen classifications in WSUS again, the proper selections was inherited from SCCM as expected and the next sync downloaded the Windows 10 Upgrades.